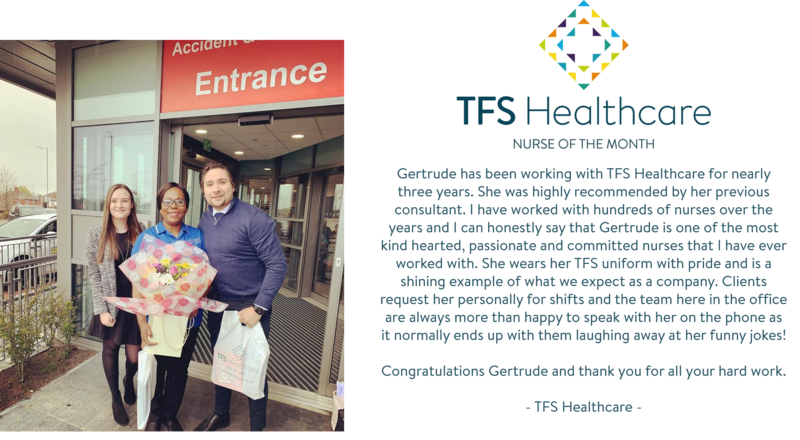 We would like to congratulate our February Nurse of the Month, Gertrude. Thank you for all that you do, you are a great asset to TFS Healthcare. Would you like to be our next Nurse of the Month? Register with us or give us a call on +44(0)20 7407 1122 to start working with us and you can be nominated for Nurse of the Month.